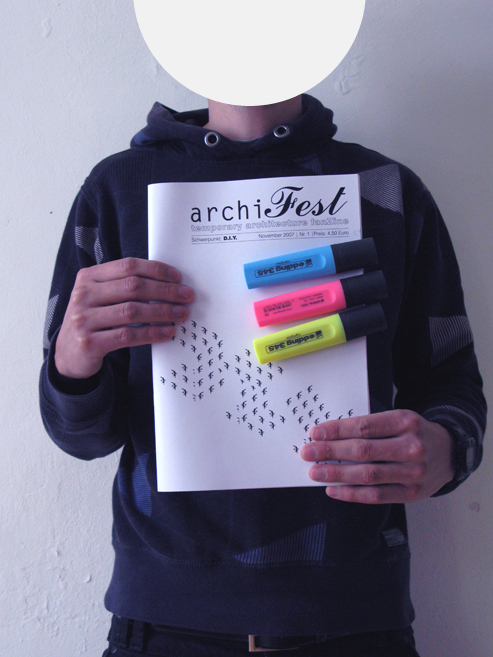 archiFest is a non-periodical fanZine developed and produced as my diploma thesis at the TU Vienna. 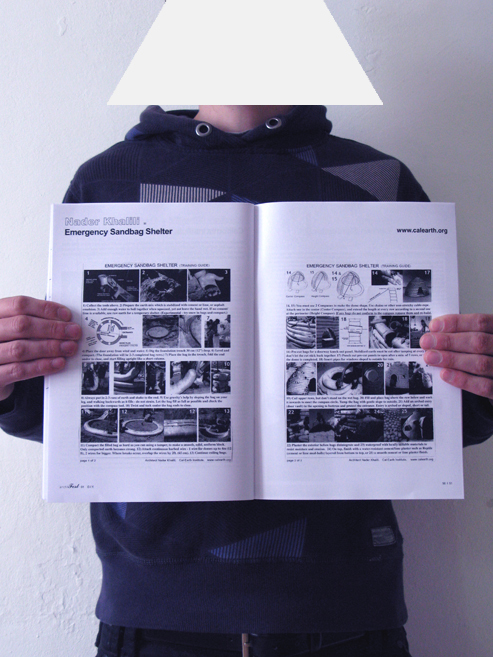 The zine deals with temporary architecture and related topics. With every issue there will be a new focal theme in order to illuminate the various facets of this ample field of investigation. 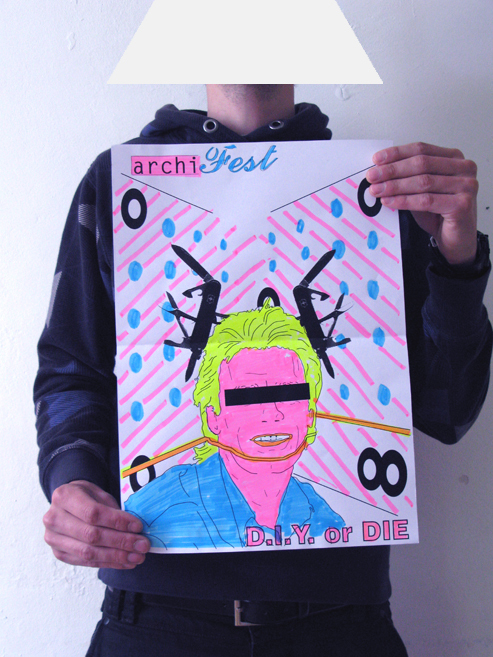 The first issue was about the term and attitude of D.I.Y. 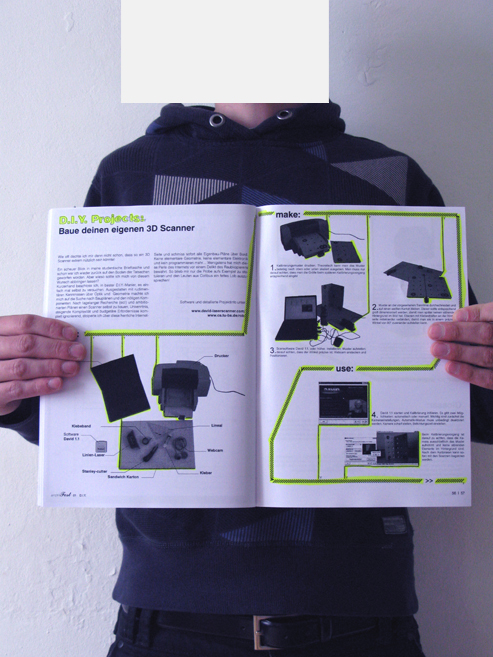 – Do it yourself – and its political, technical and aesthetic aspects. 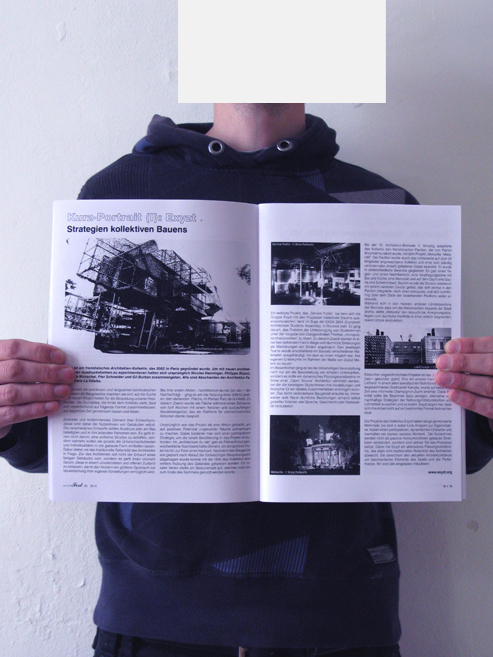 Looking at the contemporary architectural practice, the first issue pursues the question if there is and if we could learn something from the D.I.Y. way of thinking and action. 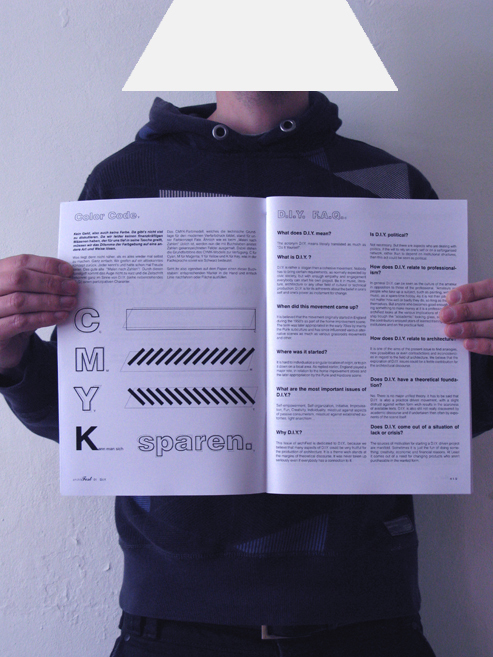 As a self-reflective position I chose the alternative publication form of a fanZine. 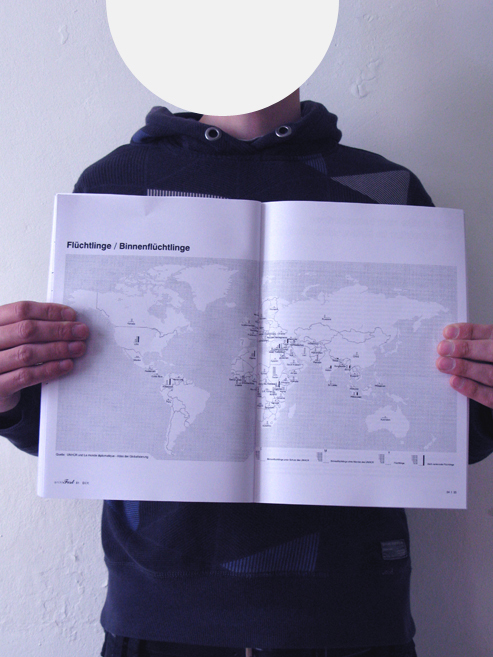 The format of the Zine is DIN A4 in an edition of 150 copies. 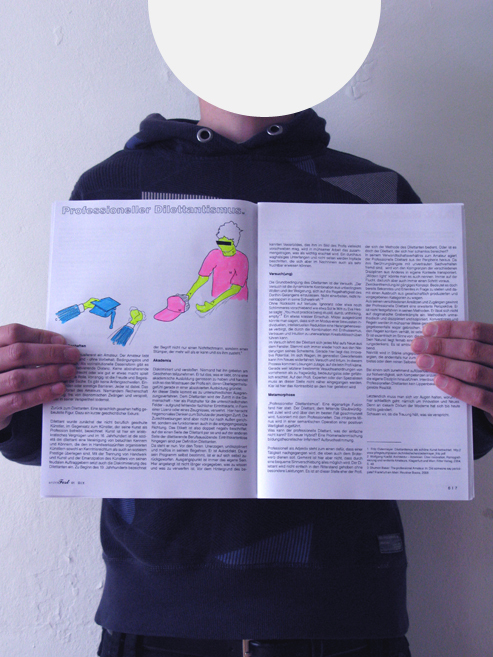 Languages are German and English.